While attempting to find out if any rooms are too drafty or dry during the winter, or too hot or damp in the summer. This can be caused by organic resins or vapors, poor air turnover or high humidity. If allergies are a problem, a quality contractor can service your heating and air conditioning system and recommend system accessories that may prevent conditions that adversely affect health and comfort. Chlorofluorocarbons (CFC’s) and hydro-chlorofluorocarbons (HCFC’s) used as air conditioning and heat pump refrigerant, have been linked to the destruction of the earth’s ozone layer. A quality contractor won’t release the refrigerant into the atmosphere and is trained and certified in the proper techniques for recovering, recycling, reclaiming and disposing of used refrigerant. For example, how to change the filter and how to operate the thermostat. He or she will advise you about symptoms which could signal that there might be a problem with the equipment. After servicing your equipment, he or she will let you know when it should be serviced again. 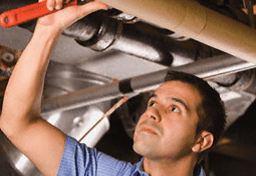 And explain any changes which might be necessary in your duct system, and present options to help you make the best decision regarding replacing your old system. To maximize the life of your equipment. A quality contractor honors the terms of the warranty on the equipment throughout the warranty period. While it is a major factor, there often are valid reasons for price differences.